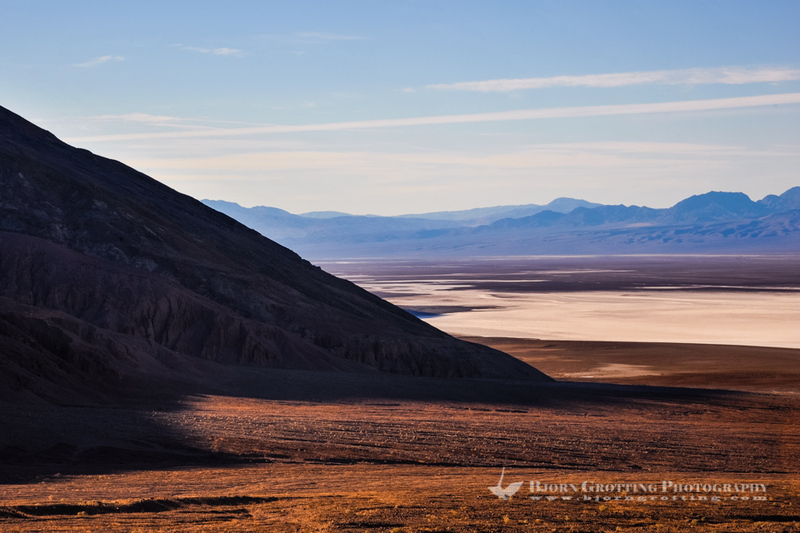 United States, California, Death Valley. View over Badwater Basin from Natural bridge road. Morning sunrise.